Camera maker Red has made an unexpected announcement of a 'holographic' smartphone set to be released in 2018. The news comes as a surprise because Red is not a phone manufacturer. The company, established by Oakley founder Jim Jannard, specializes in high-end cameras and accessories. 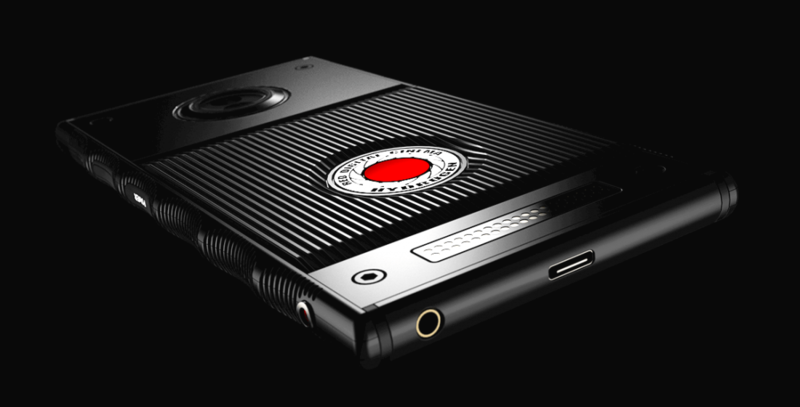 The Hydrogen One “holographic media machine,” as they call it, will be Red’s first entry into the smartphone market. The company claims that the Hydrogen’s screen will be capable of displaying standard 2D and 3D content as well as 2D/3D AR, VR, and MR without the use of glasses or a headset. The device will also be capable of showcasing Red’s proprietary Hydrogen 4-View (H4V) images. Images in H4V are supposedly holographic, but the company has not released any details on how the format works. They have said that the holograms are viewable with the naked eye though. Red claims that nanotechnology is what makes the holographic display possible. It also allows for “seamless” switching between content types. Red looks to complete the 3D experience with the handset's audio. The Hydrogen One will use Red’s proprietary "H3O algorithm” that will be built into Android. This algorithm converts standard stereo sound into “multi-dimensional audio” similar to 5.1 surround sound on headphones. The company plans to release modular attachments for the phone as well. Two models of the phone are available for preorders. An aluminum version goes for $1,195, and one encased in titanium will sell for $1,595. The company stresses that these are the preorder prices and cannot guarantee the same price after release. The Hydrogen One will use USB-C connectivity and have expandable storage via MicroSD. Red also warned that due to “display production limitations.” the company would likely not be able to fill post-release orders promptly. It sounds like Red has not secured a reliable display manufacturer or is producing screens in-house. In either case, delayed orders, regardless of warning, will likely have an adverse impact on the phone's initial critical response. While I do like the rugged looking design of the handset, the phone's major selling point, the screen, does not impress me. Holographic and 3D displays have been tried before, but they have mostly come across as gimmicky and never produce the results that consumers expect. Unless Red has managed to pull off something unique with its display, I doubt it will go far considering the price point. However, the device might have a built-in market within the cinema and professional photography industries. The Hydrogen One is built to interface with some of Red’s professional-grade cameras. Owners of Scarlet (pictured above), EPIC, and Weapon series of Red cameras may like the fact that the phone can be used as a remote display and user interface. Whether this is enough to support the production costs remains to be seen.